We knew helmets were a controversial subject in cycling, but we didn’t expect so many people to feel quite so strongly about it! Across the Ride25 blog and social media channels there were a whopping 82 comments on our post about whether you should wear helmets. And the graph below shows how diverse people’s opinions are. 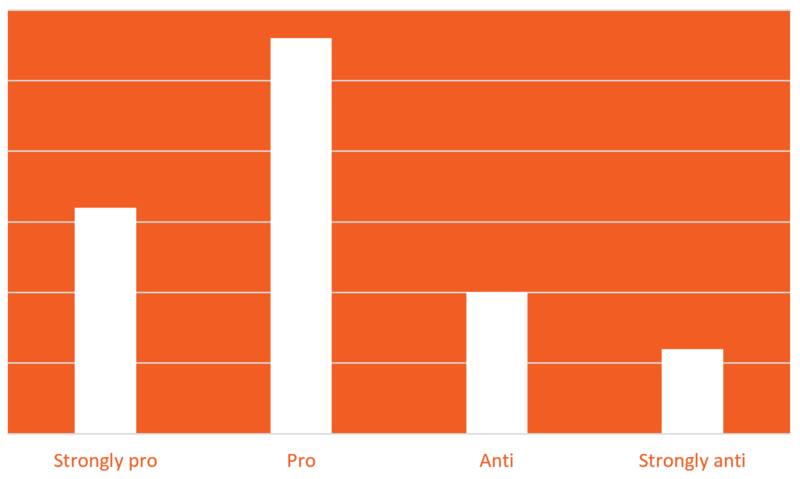 While the majority are pro-helmet, there are more people than we expected who were anti (although very few were strongly anti). (Note: the comments were categorised quite subjectively, the graph is just intended to give a gist). At risk of alienating people who don’t wear them (these posts are just a bit of fun after all!) we found a clear case of a situation where being strongly pro-helmet reduces engagement with cycling by a troubling amount. The dots show years when censuses were carried out in Australia. These take place every 5 years. One of the questions asked people whether they cycled to work. A full analysis of this graph and data can be found here. 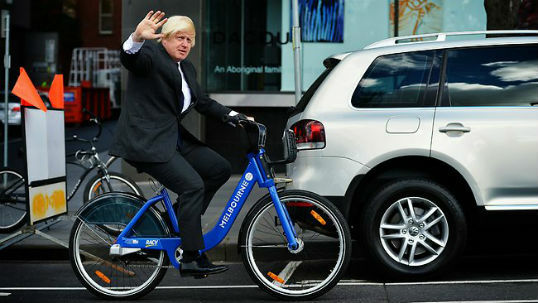 In another case, cyclists in the world’s most famously cycling-friendly culture rarely wear helmets at all. It’s hard to find an exact number, but estimates say that just 0.5% of cyclists regulary wear helmets in the Netherlands. A detailed discussion on the TedX website gives some interesting reasons. Of course The Netherlands can’t be directly compared with the UK because the overall attitude to cycling is so much more accepting, and the infrastructure is set up to compensate for this. Cyclists and cars rarely share the same roads and, when they do, drivers are more patient and understanding. Pro-helmet people, would you feel differently about wearing helmets if the UK’s cycle network was bigger and safer? Would you keep wearing one if you were forced to by the law, or would that put you off? And anti-helmeters, would you stop riding if a law came in forcing you to wear a helmet, or would you begrudgingly keep it up? Our thanks go again to Martin for sticking his head above the parapet and articulating his viewpoint well. 5 Responses to “Helmets. Do you wear one? I think this is a highly debatable issue, I think when it comes to wearing a helmet, much like wearing a seat belt, it’s the little things that can make all the difference, and we mustn’t forget that if there was to be an accident much as we’d like to think, it isn’t just the helmet wearers or non wearers life that would be affected, but then again people hate being told what to do, so enforcing a helmet wearing law may actually have a counter productive effect. As a pro helmet wearer I have to say my rebellious side felt challenged at the idea of a helmet wearing law. The recent appearance of some decent cycling infrastructure in London has prompted a change in attitude for me. Until this year I wouldn’t have thought of getting on my bike without a helmet.Now I usually don’t wear one but I assess the risk and put it on for some rides. I’ll wear one for groups rides for fear of a collision and for rides on fast-moving roads without segregated cycle tracks. Thank you for the ongoing commentary on this ‘debate’. IMHO there should be no law to make helmets compulsory, it should remain the right of the rider to choose, but the risks should be communicated. This is similar to the arguments that exist in the skateboarding and other extreme sports worlds where claims of ‘I know how to fall’ are used as an argument not to wear a helmet, yet there are numerous injuries in this ‘experienced’ group because they clearly don’t know how to fall….. Personally I’ve not ridden without a helmet in over 20 years and wouldn’t even consider getting on a bike without a lid as I’ve seen too many incidents where helmets have made a difference….